Pain-free treatment while you sleep! 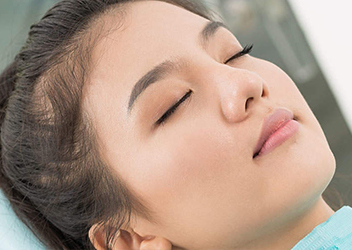 If you are anxious about visiting the dentist or have had bad experiences in the past, sleep dentistry is for you. 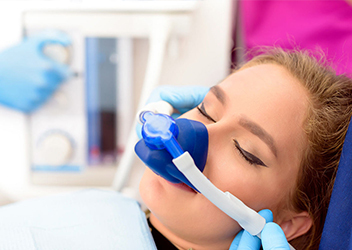 Sedation dentistry is a very simple procedure which uses medication to help patients relax during dental procedures. 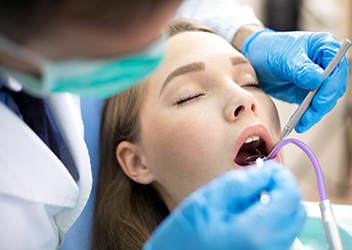 Sometimes people confusingly call sedation dentistry “sleep dentistry,” but you are not asleep, you are actually conscious and will be able to respond to instructions during treatment, but won’t likely remember most of your visit. You will need someone to drive you to your dental appointment and pick you up. You may be a little groggy for a while afterward, but otherwise there are no lasting effects of sedation dentistry. With the exception of people who are allergic to the medication or have underlying health conditions, sedation dentistry is completely safe. How can sedation/sleep dentistry help you? You can often have multiple treatments completed in one session. You’ll be relieved of possible discomfort associated with long and complex procedures. What are the various levels of sedation? Moderate sedation (formerly called “conscious sedation”) – you may slur your words when speaking and not remember much of the procedure. Deep sedation – you are on the edge of consciousness but can still be awakened. General anaesthesia – you are completely unconscious. What are the options commonly used in dentistry?